Buying food supplements? At the Dutch-Headshop you are at the right place. Vitamins and supplements contribute to a balanced diet, ensure a better resistance and more energy. Food supplements can play an important role in your everyday life, for both body and mind. They are often indispensable for many people. The Dutch-Headshop offers a wide range of a variety of supplements. Food supplements contribute to a healthy life style and ensure a better resistance and more energy. Because of different circumstances your body may be in need of additional nutrients. Such circumstances include an intensive lifestyle, stress or doing sports. Food supplements add vitamins or complete formulas to your daily diet. 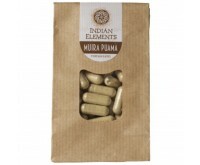 There are food supplements to increase your energy level, but also to help relax. Food supplements come in different types. Capsules, pills, powders and suppositories. Take in capsules or pills with a glass of water or fruit juice, mix powders with your smoothie or shake for example, and suppositories you should be used rectally. Most of the products come in capsule form though. All capsules can be used daily. The recommended dosage usually differs from one to several capsules a day. There are also supplements that contain CBD. The advantage of CBD capsules or pills is they contain a fixed amount of CBD. Therefore you know exactly how much CBD you get in, for precise dosing. Your body also absorbs CBD very quickly and capsules are easy to take in with water or fruit juice. CBD offers a solution for various complaints. 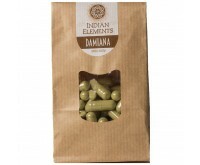 It helps against stress, tense muscles, poor night’s sleep and it is beneficial for heart and blood vessels. It does not contain psychoactive substances. CBD only has a beneficial effect on the health. 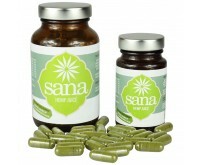 Of course, we also have food supplements without CBD. Think of Fish oil, Magnesium, 5-HTP and Vitamin B12. Live a more healthy life, with supplements from Dutch-Headshop and order them today online, discreetly and easy.